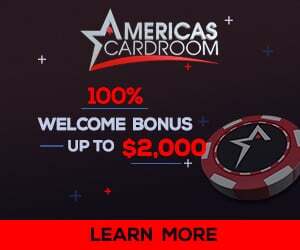 Although Texas Holdem is still the most popular poker game type found at online poker sites, more and more players are discovering the increased action and huge pots available from real money Omaha games online. Omaha is similar to Texas Holdem in that it’s a community card game, which includes a flop, turn and river that can be used by everyone active in the hand. However, there are key rule differences between Holdem and Omaha that players should understand before they play Omaha online. In Omaha real money poker games, all players receive four hole cards instead of two, as is the case in Texas Holdem. The game alternates between betting rounds and community card reveals, which include the flop (three cards), turn (one card) and river (one card). Players must use exactly two of their hole cards and three of the community cards to form their poker hands. This allows for interesting strategies, since a seemingly premium starting hand such as A-A-A-A is actually quite poor because of the fact that only two of the hole cards can be used. Although it’s possible to play Omaha with a betting structure such as Fixed Limit and No Limit, most players who choose Omaha poker sites for real money opt for the Pot Limit betting structure. In Pot Limit Omaha, or PLO, players may only wager the current size of the pot, in addition to any action that has occurred so far in the betting round. This prevents pots from growing as fast as they would in a No Limit game, though high stakes real money Omaha games still tend to feature massive pots. Real money Omaha is sometimes offered as a Hi Lo game, in which the pot is split in half and given to the players with the best and “worst” Omaha hands. Check out other real money poker sites!